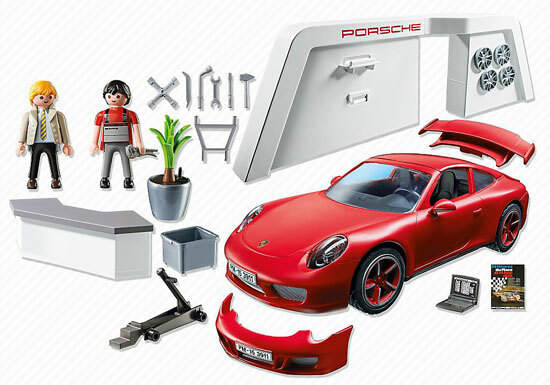 It is exciting that Playmobil will be having a Porsche vehicle in their collection and it is a pretty awesome one. 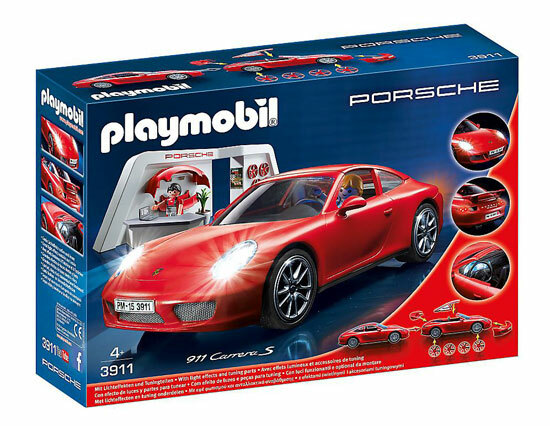 Meet Playmobil 3911, the Porsche 911 Carrera S in Red! 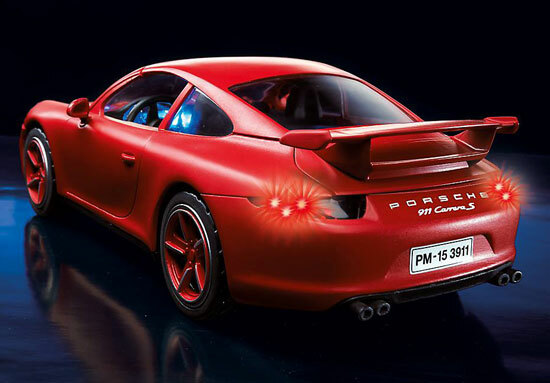 Here is how the Porsche 911 Playmobil version look like. It comes with light up head lights. There are rear break lights as well it seems. Even the dashboard light up! The light module uses 3 x 1.5V AAA batteries. 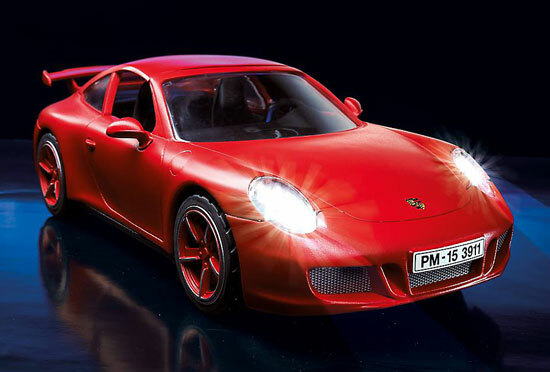 The Porsche offer changeable with front spoiler, rear spoiler and red rims. 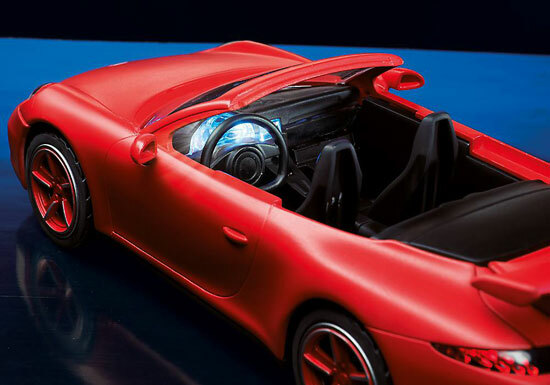 The roof is removable too just of the ease to put the figure in. This would be available from mid February 2015. Yes Zombiecurse, The news is real. look for this in February 2015.